Debuts a new diesel engine. Mahindra today launched the Jeeto mini truck in Mumbai with prices starting at INR 2.35 lakhs, ex-Showroom, Thane for the BS-3 variant. The Jeeto is available in four main trim levels, and is offered in two payload options - 600 kg and 700 kg. The Jeeto is offered in deck lengths of 5.5-, 6-, and 6.5-feet. Irrespective of the variant, power for the Jeeto comes from a single-cylinder water-cooled m_Dura direct injection diesel 625 cc engine capable of delivering a fuel efficiency between 27.8 km/l to 37.6 km/l depending on the variant. Mahindra says the Jeeto offers best-in-class acceleration and pickup, and promises 30 percent more earnings than its nearest competitor. This engine is offered in two power states of 11 hp and 16 hp, and makes 38 Nm of torque. A 4-speed manual transmission is seen as standard. Also standard is a warranty of 2 years or 40,000 km. 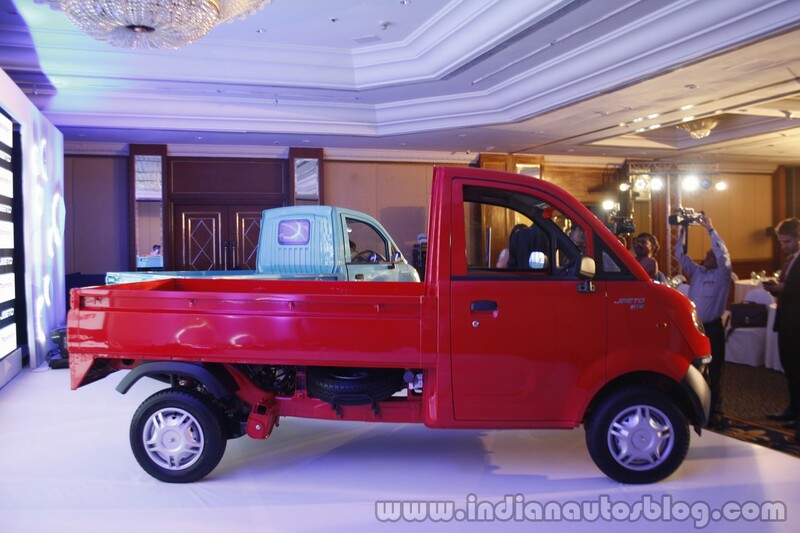 The Jeeto is manufactured in Telengana, and a passenger variant is also soon expected. The Jeeto will be available in five colors - Diamond White, Sunrise Red, Ultramarine Blue, Mango Yellow and Premium Beige. 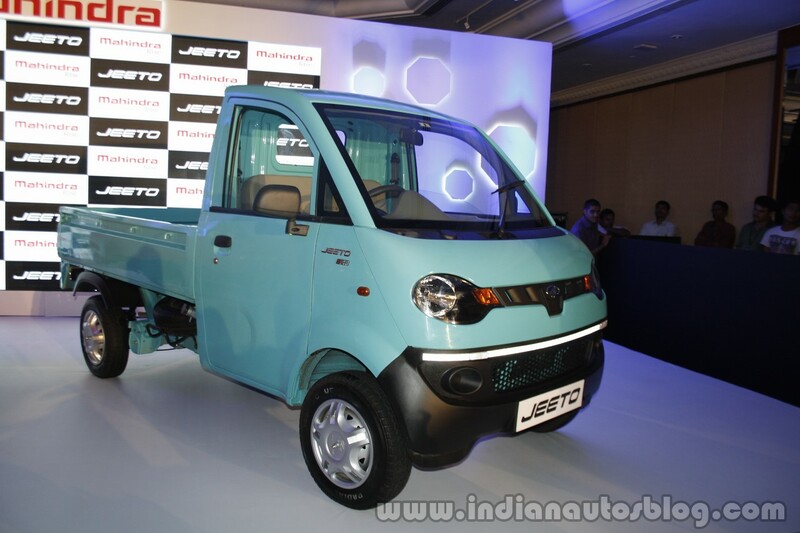 A passenger-variant of the Jeeto is also under development, while the Gio will be slowly withdrawn from the market. Made in Zaheerabad, Telengana, the Jeeto will also be exported to markets like Bangladesh, Bhutan and Nepal.